Women in the Atlantic Provinces have long struggled to access reproductive health care services due to the rural nature of the region. 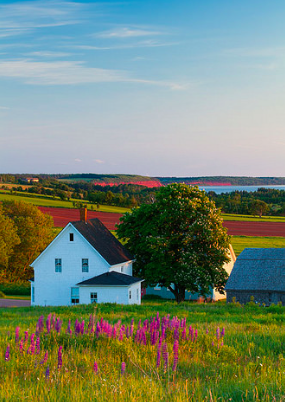 Whereas Canada’s rural population declined from 24 percent in 1971 to 19 percent in 2011, the Atlantic region’s rural population only declined from 47 percent to 46 percent rural in the same period. Christabelle Sethna and Marion Doull’s research on Canadian women’s access to freestanding abortion clinics in the 2000s demonstrates that the Atlantic Provinces have the lowest access to abortion services in the country. Many researchers argue that medical abortions would ensure access for women in the Atlantic, northern, and remote regions of Canada. With the impending release of Mifegymiso in Canada—a prescription drug that can terminate a pregnancy in the first 49 days of gestational age—there is much debate over the requirement that women receive the drug under the supervision of a doctor. Physician-only dispensing would create an additional barrier to accessing Mifegymiso in rural areas, particularly in regions without surgical abortion services. In defence of the criticism that the federal government is limiting rural women’s access to the drug, Health Canada argues in Mifegymiso: Myths vs. Facts that medical abortions require physician oversight because approximately 1 in 20 women will require surgery for unsuccessful terminations. The urban-rural divide surrounding access to reproductive health care services is nothing new and the role of physicians in delivering services have often been at the center of these disputes. The liberalization of the abortion law in Canada and the legalization of birth control in 1969 merely amplified debates around the need for equal access to reproductive health services in rural areas. The federal government’s Department of National Health and Welfare established a family planning division in 1972 and at the first national conference there was emphasis on the need for family planning information and services in rural, remote, and northern communities. At the heart of the discussions was the importance of the provinces and municipal governments creating a “network of community health or personal service centres” to develop effective programs and services. However, much like the debates over Mifegymiso, physicians were positioned as gatekeepers to family planning services throughout the late twentieth century. Finding doctors willing to work in rural areas in the Atlantic Provinces was a constant problem and many physicians’ moral opposition to reproductive health services compounded the issue. While the Canadian medical profession supported sharing the responsibility of advising on family planning with educational and health organizations, it recommended that facilities providing the information remain under the supervision of the medical profession in case a medical follow up was required. In rural areas, the Canadian Medical Association recommended a “roster of ‘travelling physicians’ to serve isolated areas.” The rural nature of the Atlantic Provinces created manpower challenges that inhibited these goals. The struggle to convince doctors to move to rural areas meant that these citizens were often underserved, and accessing reproductive health services became a greater challenge. While many medical professionals supported grassroots efforts to increase access to reproductive health care services in rural areas, there was a level of frustration that the associations were needed. In an interoffice memo between two doctors in New Brunswick’s Department of Health, one physician argued that family planning clinics were “just another way for somebody else again doing our work because we are in fact doing such a poor job ourselves.” They argued that “family planning is strictly basic Public Health, and we should be the ones doing it, but in order to accomplish this, we would have to be organized in ‘clinics’ and not as ‘travelling circuses’ like we are now.” Through proper planning and organization, the government official argued that community health centers run by public health personnel would ensure that family planning clinics, which relied on the support of volunteers to function, would no longer be necessary. Despite the efforts of grassroots organizations, government officials, and medical professionals to improve the state of rural women’s health services, government austerity measures throughout the late twentieth century created immense challenges for various stakeholders. The provincial governments began a process of decentralization and regionalization to address the inequity of health provision, but inequitable access to health services in rural areas continued to be a major concern well into the twenty-first century. The Romanow Commission found in 2002 that the lack of national approach to address rural health needs ensured that two-tiered medicine between urban and rural communities remained in place. As doctors’ offices, pharmacies, and sexual health clinics prepare for the release of Mifegymiso, there remain a number of questions about how the abortion pill will address rural women’s inequitable access to reproductive health care services. The ongoing disputes surrounding physicians dispensing abortion pills is reminiscent of the federal government’s requirement that hospitals establish therapeutic abortion committees to oversee abortion requests, which became a hindrance for hospitals, medical professionals, and patients. How will the bureaucratic barrier of forcing women to pick up Mifegymiso from a doctor’s office protect women from risks associated with the drug if “it is not mandated that the medication be swallowed in front of the physician”? Will the regulatory bodies for physicians and pharmacies in Atlantic and northern Canada follow the lead of British Columbia regulators and try to circumvent the physician-dispensing requirement to increase access for rural women? By pushing back against Health Canada’s regulations, doctors would be resisting the gatekeeper role long associated with abortion access. Katrina Ackerman is a SSHRC Postdoctoral Fellow at the University of Regina. Her research has been published in the Canadian Bulletin of Medical History, Acadiensis, and Labour/Le Travail. Her current project is under an advanced contract with UBC Press. Christabelle Sethna and Marion Doull,” “Spatial Disparities and Travel to Freestanding Abortion Clinics in Canada,” Women’s Studies International Forum 38 (2013): 59. Library and Archives Canada (LAC), RG 29, Volume 1767, File 45-14-1 part 2, Department of National Health and Welfare, “Recommendations of National Conference on Family Planning,” February 28 to March 1972, Ottawa, Canada. LAC, RG 29, Volume 1576, File 51016-5-38, Resolutions Passed Re: Abortion by the Canadian Medical Association, June 7, 8, 9, 1971, Halifax, Nova Scotia; Nova Scotia Archives (NSA), Medical Society of Nova Scotia Fonds, File 1504, Committee on Maternal and Perinatal Health Annual Report 1970, Annual Meeting 1971. NSA, Medical Society of Nova Scotia Fonds, File 1487, Executive Secretary of the Medical Society of Nova Scotia to Colchester East Hants Branch Society and Cape Breton Branch Society, 17 August 1971. “Hants Medical Clinic Open-and-Shut Case,” The Chronicle Herald, 8 February 1988. Helen R. McKilligin, “Editorial: More than Family Planning,” Newfoundland Medical Association Journal XXII, 3 (August 1980). Canadian Women’s Movement Archives, University of Ottawa Archives and Special Collections (hereafter CWMA), Box 150, A Women’s Newsletter, Charlottetown, PEI File, “A Women’s Newsletter,” September 1975. CWMA, Box 150, A Women’s Newsletter, Charlottetown, PEI File, “A Women’s Newsletter,” July 1974. The project originated in Toronto. Madeline Boscoe, Gwynne Basen, Ghislaine Alleyne, Barbara Bourrier-Lacroix, and Susan White of the Canadian Women’s Health Network, “The Women’s Health Movement in Canada: Looking Back and Moving Forward,” Canadian Women’s Studies 24, 1 (Fall 2004 ): 7. Provincial Archives of New Brunswick, RS 765, File 8-0417, Doctor to Doctor, “Interoffice Memo: Family Planning Brief,” 14 July 1982.